or 6 interest free payments from $7.82 with LAYBUY - Whats this? 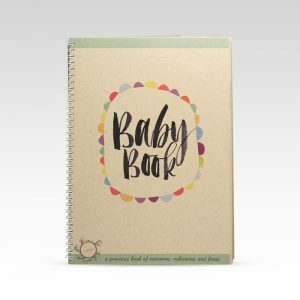 This awesome gender neutral Forever3 Monochrome Baby Book is the perfect way to record your new babies precious memories from birth through to 5 years old. A precious keepsake book featuring 62 pages with beautiful illustrations throughout. The beautiful poem on the back of the Forever3 Monochrome baby book! 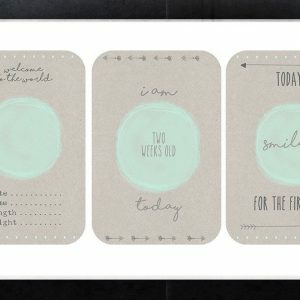 Please note: The pages in the Forever3 Monochrome baby book are a gloss paper so please do a test patch first with your ball point pen and allow it to dry to avoid smudging. After you have written in your book always allow each page to dry first before turning the pages or closing the book. Printed on 200gsm gloss paper. Plastic cover and card backing. Designed and produced in Australia by Forever3. 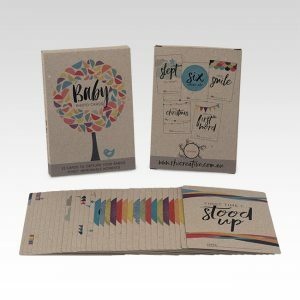 We also have available at Little Hugs a fantastic range of the awesome Forever3 baby milestone cards which you can find here.